A good example of how a civic square can be used in Auckland. 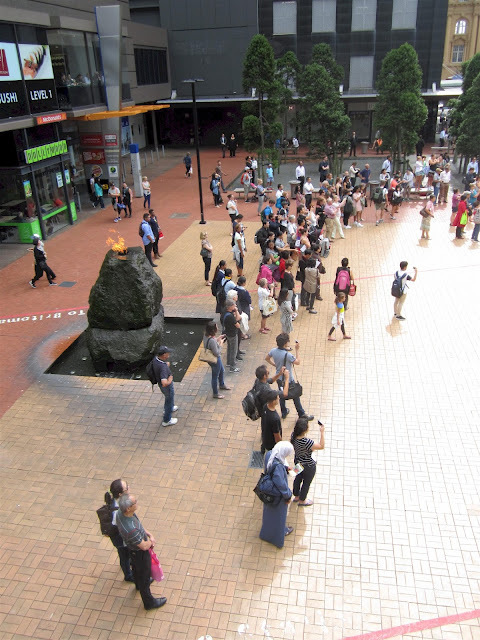 Was walking past Queen Elizabeth Square yesterday about mid-day when I spotted this cultural event. These pictures convey what it is about this Auckland civic space that will enable it to become the "picture postcard" space described in the Auckland City Centre Master Plan at pages 58 and 61. It's got a lot of potential. 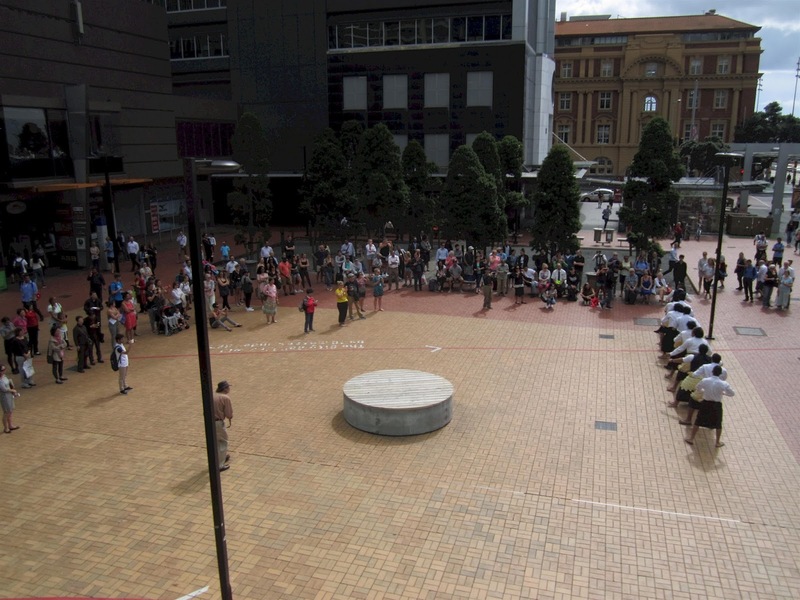 For a start it's a civic square. It's a good sized public square whose shape and character are partly due to it nestling between buildings. It's a good size - ie not too big, not too small. Goldilocks. Look here for a posting I did about the public space assessment methodology used by New York's Project for Public Spaces. 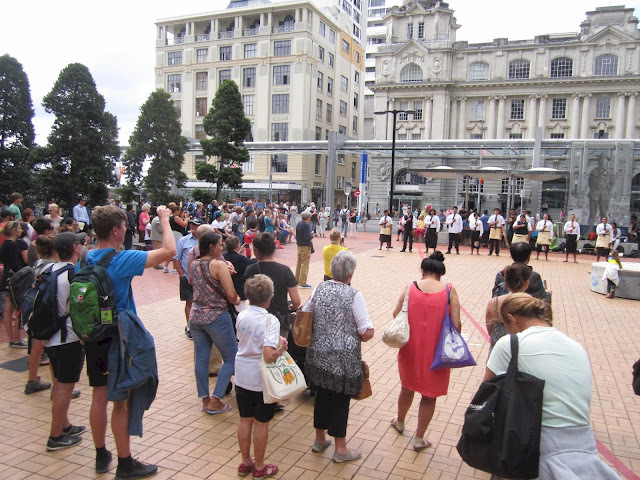 They describe what it is that makes a good civic space, and what differentiates it from a poorly performing public space. 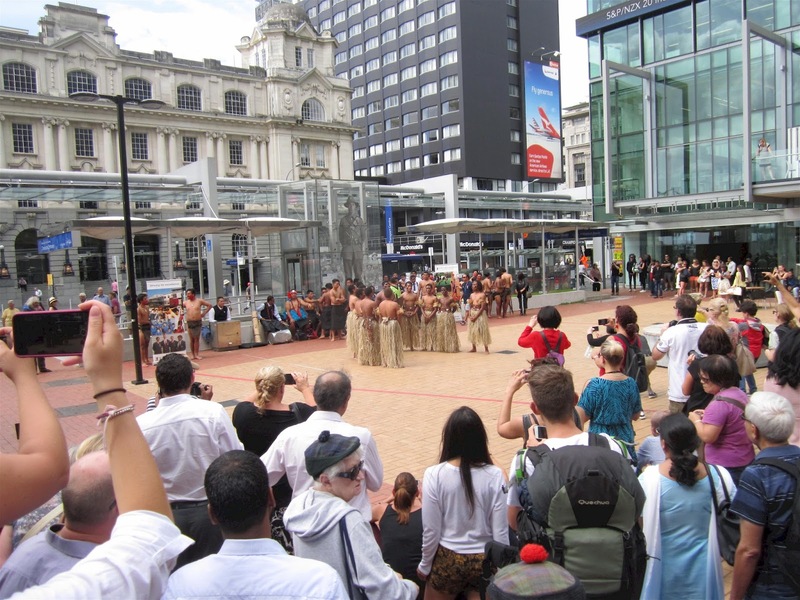 Their assessment provides some explanation as to why Aotea Square performs poorly. It is partly to do with its large undifferentiated size, and partly to do with the absence of activation around its edges. You can see in these pictures of Queen Elizabeth Square (taken mid day on the 15th March 2016) its potential to be much more successful than it is now. The redeveloped Westfields shopping centre needs to have activated edges - like we see even the modest Zurich Tower has provided. Zurich Tower's activation is also at level 1 - enabling people to overlook QE Square. Giving an amphitheatre feel to QE Square. 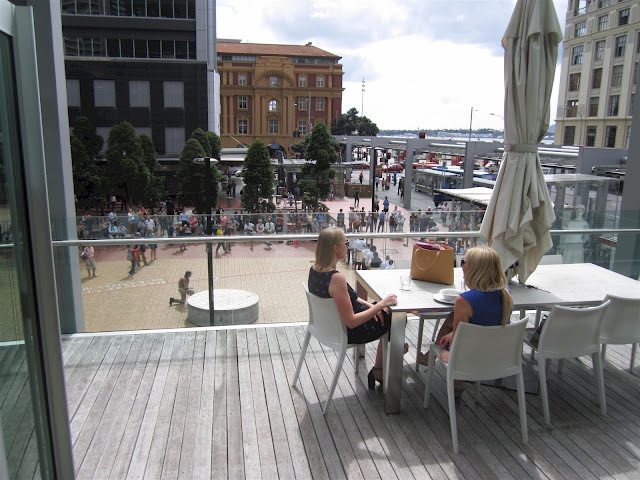 This is very special and worth developing as a premier picture postcard civic space for downtown Auckland. Message to Auckland Council: Implement your plan.